Playing with deep breaths exudes a majestic sound and yet the supple tones are not lost. the silver flute has mellowness and transparency that is said to possess a tone that is most characteristic of a flute. However, silver is the most difficult metal to work with. 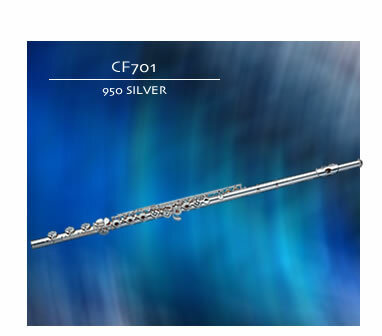 At SANKYO FLUTES, we carefully perform our material and silver plating at our own factory and pay close attention to creating an exquisite sound.